After a brief hiatus in 2018, the Volkswagen Jetta GLI is back in 2019 to mark its 35th anniversary. 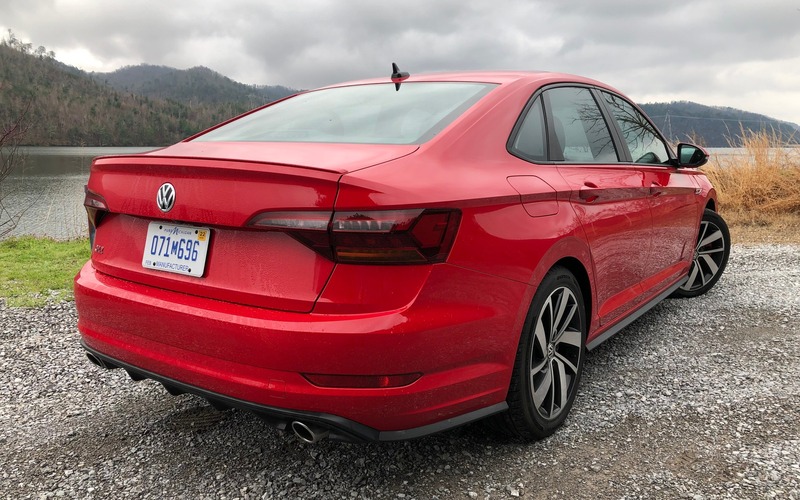 The folks at VW insist that this is a genuine sports sedan and they wanted to leave no doubt about it by inviting us to a test drive on the legendary Tail of the Dragon in the U.S. The Jetta GLI is built on the same MQB platform as the Atlas, Tiguan, Golf and GTI. The last one also shares its engine, namely a 2.0-litre turbocharged four-cylinder that cranks out 228 horsepower and 258 pound-feet of torque. Compared with the previous generation, these numbers are up by 18 hp and 51 lb.-ft., respectively. That’s terrific. Transmission choices include a six-speed manual and a seven-speed dual-clutch DSG. With the Sport mode activated, the latter proves quick and very sharp. Regrettably, though, it forces some of the gears to change even if you decide to control the transmission using the paddle shifters on the steering wheel. Oh, and it’s a bit of a shame that designers ignored drifting enthusiasts by replacing the traditional parking brake handle with an electric switch. A genuine sports sedan? 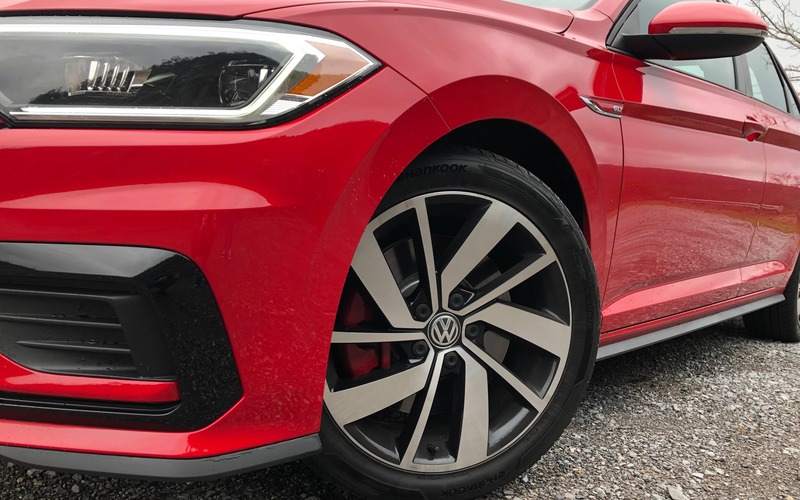 The 2019 Volkswagen Jetta GLI almost seems shy to admit it. In other words, this car has all the performance credentials you would want, yet it barely shows. If not for a few red accents here and there, most people wouldn’t be able to tell the difference with a base Jetta. Of course, this is nothing new. Volkswagen is historically known for going with understated designs over fancy, in-your-face propositions. The great news is that the new Jetta GLI features several capable components, such as a limited-slip differential and front brakes borrowed from the almighty Golf R.
The sound effects are nice, too, but disappointment sets in when you realize that the engine is amplified through a dedicated cabin system. Automakers have a habit of choosing flat, uncrowded roads for their press events—the sort of setting that also helps them achieve the fuel economy numbers they advertise. This time, however, Volkswagen opted for a completely different strategy. 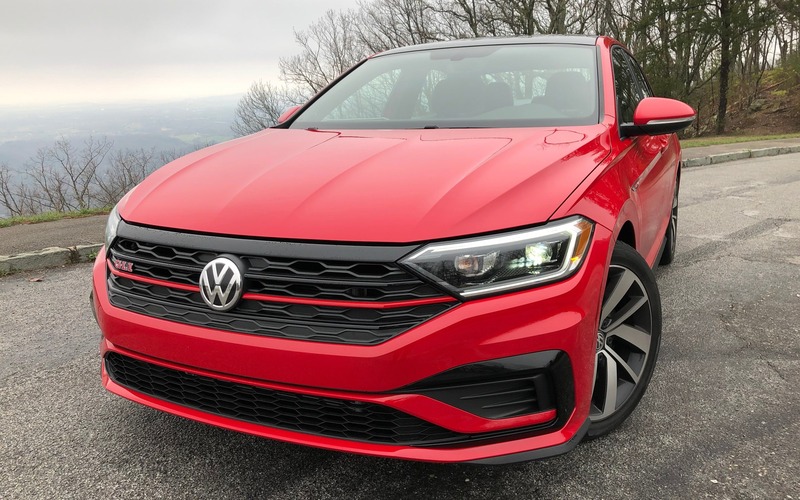 We were invited to drive the 2019 Jetta GLI on U.S. Route 129 a.k.a. the Tail of the Dragon. Stretching across Tennessee and North Carolina, it features 318 curves over a distance of just 17.7 kilometres. As we tossed the car around, we felt as if we were sitting in a food processor! The sedan handled itself like a champ on this sinuous road. Its swift acceleration allowed us to quickly blast from one corner to another. As for its overall dynamic capabilities, they definitely meet our expectations of what how a German sports sedan should handle. The suspension has just the right amount of firmness, while its precise steering makes directional transitions easy. The previous-generation GLI failed to win over a large crowd as buyers preferred the five-door GTI. For 2019, Volkswagen is taking bold steps by pricing its sports sedan $3,300 below the old model. The Jetta GLI now starts at $31,695 before freight and delivery charges. An extra $750 will get you a copy of the 35th Anniversary Edition and another $995 will tack on the Driver Assistance package. The latter includes autonomous emergency braking, blind spot detection, adaptive cruise control and automatic high beams. 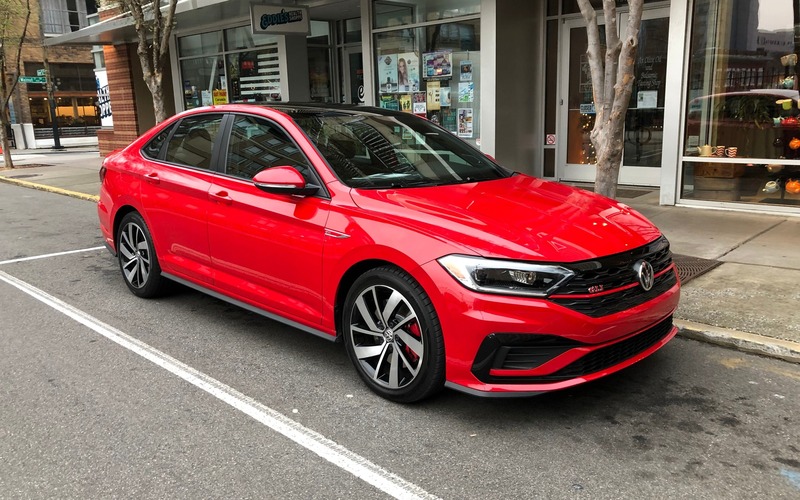 Many people have lamented the size of the seventh-generation Jetta, so you will hear the same comments about the GLI: too long, too wide, too heavy, etc. In reality, it’s not so bad. The car is now 0.8 inch wider and 0.3 inch taller with a 1.2-inch longer wheelbase, so it would be a stretch to say Volkswagen went over the line. Compact sports sedans with front-wheel drive remain a pretty rare sight. The segment essentially comes down to the Honda Civic Si and Hyundai Elantra Sport. Despite its AWD setup, the Subaru WRX is another option. 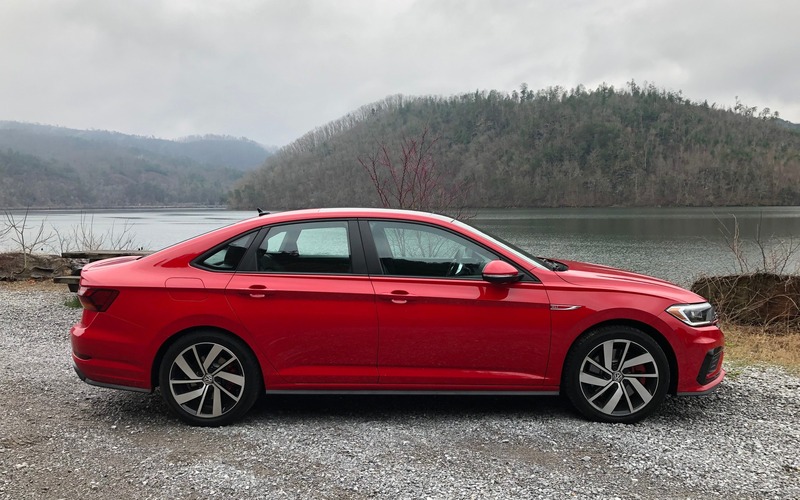 With a much more competitive price, not to mention its substantial power boost, the 2019 Volkswagen Jetta GLI will most definitely convince those who hesitated about the Japanese and Korean rivals. 8/10	Our test drive did not exactly take place in real-world conditions. The official combined city/highway rating in Canada is 8.4 L/100 km. 8/10	Considering the sporty character of the GLI, comfort is more than decent. 8/10	Volkswagen’s 2.0-litre four-cylinder engine works wonders thanks to the magic of turbocharging. 8/10	The system is easy to use overall. 8/10	The GLI is precisely the smile-inducing machine it’s designed to be. 8/10	With more power and torque for less money, the new GLI is a pretty compelling sports sedan.